Feel free to download all 962 letters from 37 alphabets individually from our site, but to save you time … and to give you an easy way to store the alphabets on your own computer … simply buy our Big Alphabet Coloring collection, available in two volumes. Buy now, download immediately, and begin printing in minutes. Includes twenty-one different: At the Beach, Big Outline, Carnival Curtain, Cartoon, Caveman, Dot-to-Dot, Dots Uppercase, Fruit and Vegetable, Funny, In a Circle, Monkey Uppercase, Ornamental, Plants and Animals Uppercase, Playtime, Stained Glass Uppercase, Stitches Lowercase, Whimsical, Whimsical Lowercase. If purchased separately, a $63 value. Just $7.95. Click here to get started. 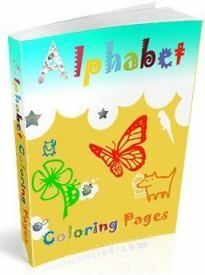 Includes sixteen different alphabets: 3-D, Abstract, Bold Lowercase, Brush Stroke, Bubble, Cartoon Animals, Collage, Crazy Doodle, Flower and Tendril, Frayed Edge, Garden, Goofy Animals, Kingdom Animalia, Nuts and Bolts, Playful Animals and Silhouette. If purchased separately, a $48 value. Just $7.95. Click here to get started.